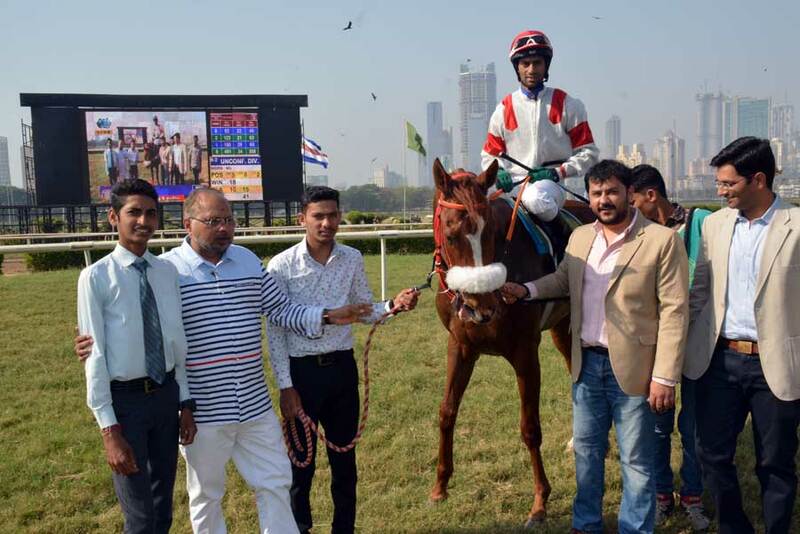 Vishal Gaikwad trained Bateleur made a quantum improvement when trouncing the opposition in the 1400 metres RM & Rukmani Goculdas Million, a terms race for four-year-olds and over, the feature event of Sunday`s Mumbai races. The progeny of Western Aristocrat was strongly backed to beat the seasoned graded race performer New England and he did not disappoint having the race in firm control right from the start and gave no chance for the others to come near. 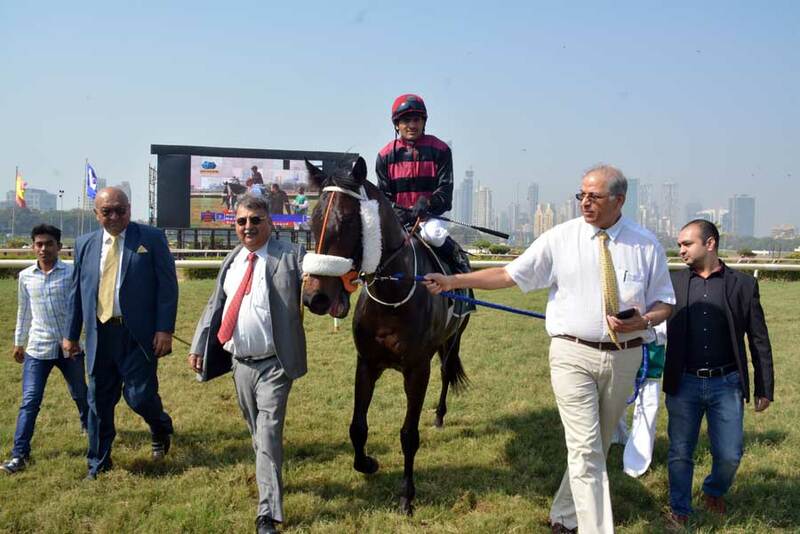 Jockey Neeraj Rawal had no hesitation in taking Bateleur to the front and the fancied runner enjoyed the uncontested lead and had a healthy break over the rest. Sandesh settled New England in about the fourth position several lengths adrift which in the end ensured that the favourite would be left with a hopeless task of catching up with the front-runner and then overhauling him especially since the lead was given away without having to be pushed to keep the position. Bateleur did not face any threat as he spurted clear in the final furlong to win from Master of Universe who maintained an upward trend. New England struggled to finish third ahead of Turning Point. Shiraz Sunderji trained Kildare made a winning debut in the 1400 metres Karl Umrigar Trophy, a race for maiden three-year-olds. Kildare was brought into contention in the final furlong with a well-timed effort by jockey Sandesh and the progeny of Leitir More collared the front-running Conscience and recorded an impressive win. Conscience who is a half-sister to Invitation Cup winning Adjudicate managed to nose out Sunrise Ruby to get the runner-up berth. There were two horses from Pesi Shroff`s stable and both flopped. Copper Queen who had run a suggestive third in her previous outing which was won by Thailand and Missing You, the runner-up, performed way below expectations. 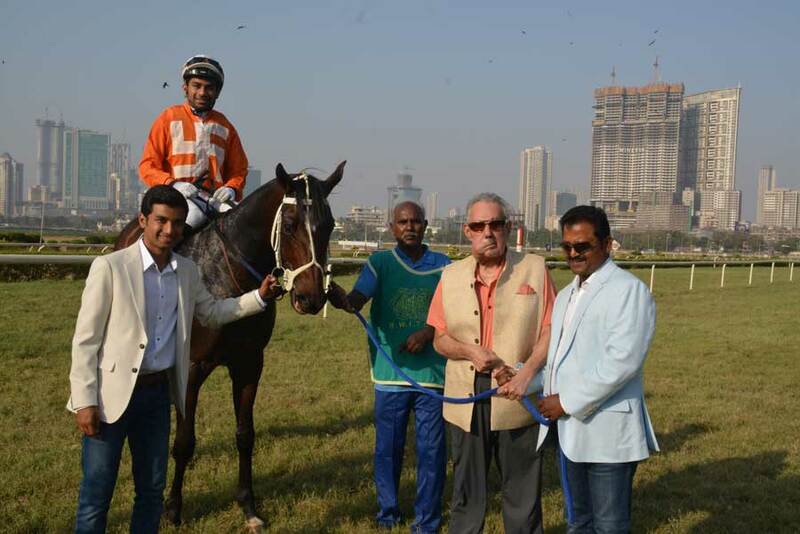 Trevor Patel who had a solitary success managed to drive out favourite Gold Field to get the better of long-time leader Untitled in the closing stages of the race to land the spoils in the 1000 metres T M Goculdas Plate, a race for horses rated 40 to 65. Untitled went at a brisk pace in front but closer home his reserves ran out which enabled Gold Field to edge past the front-runner. Rising Brave was in contention for a long while before weakening to finish third. 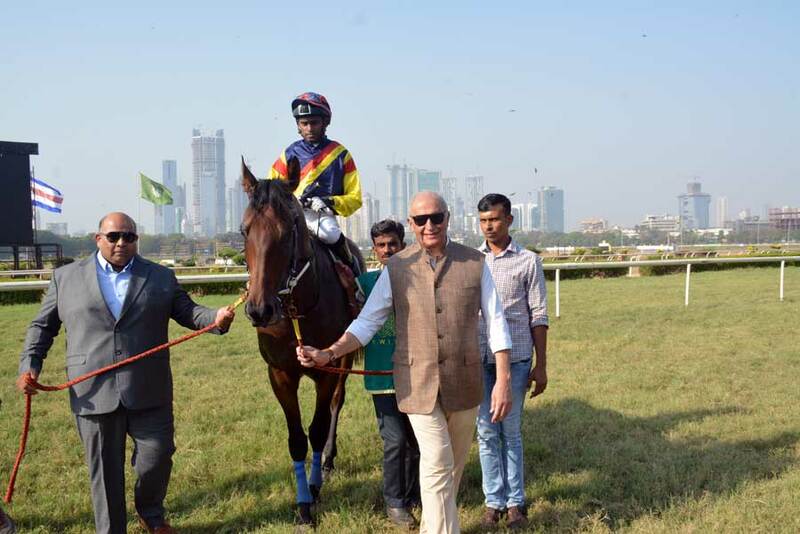 Deepesh Narredu trained Awesome One maintained his winning run in the handicap races with yet another impressive win in the 1200 metres Pronto Pronto Plate, a race for horses rated 60 to 86. Though Awesome One was running for the first time over a six furlongs trip, he was backed without any reservation by the punters. Flaming Martini who had reeled off three wins in a row essayed a strong challenge in the final furlong but Awesome One proved that he was a vastly superior horse by pulling ahead for a comfortable win in the closing stages of the race. Excellent Gold nosed out Beshiktash to get the third place. Narendra Lagad trained Rogue One who had let down on a couple of times, obliged expectations in the 2000 metres Tulipa Plate, a race for horses rated 20 to 46. 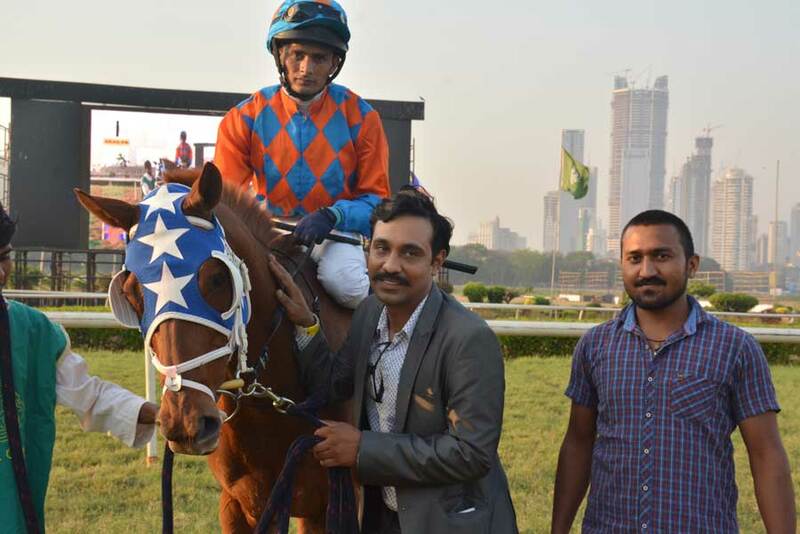 Jockey Dashrath Singh had Rogue One who attracted smart money take over the running after traversing the first furlong and thereafter the progeny of Midnight Interlude was never headed. Rogue One had the race well sewn up a long way from home. Favourite Benevolence ran on to take the second position ahead of Gdansk. 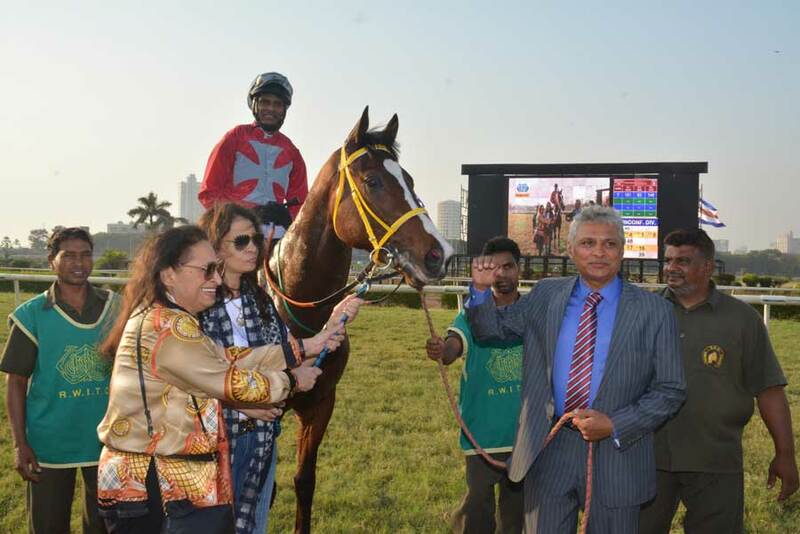 Nazak Chenoy trained Epiphany continued to disappoint her supporters with another flop show in the 1000 meters Abeeta Plate, a race for horses rated 20 to 46. Rank outsider Cezanne who came into strong contention in the final furlong skipped away to win from late-rallying Epiphany who lacked the early pace to make an impression. Alpine Express who had the lead going in the final furlong, weakened to finish third.